Mobile phones for children: Is sim only the solution? My child a mobile: Is SIM only a solution? Our children are becoming familiar with 'new media' at a younger age. A child of three effortlessly finds the music tracks on a smartphone and plays games on the tablet. And where adults sometimes have to think about how something works on a tablet, a nine-year old already has the solution with a sigh "Do you still not know how that works." In short, computers, tablets and smartphones have hardly any secrets for children between 8 and 18 years old. At home and at school computers and/or tablets are often available that they can use, but what do you do with a mobile phone? What is an appropriate age to give them a phone and how do children experience the digital 'conveniences' of the smartphone? You can say roughly that children aged 5 to 7 years old know how the new media works. They watch internet videos and play games for example. From 8 to around 11 years old, children develop more and more skills in IT and some get their first mobile phone. Our children are completely at home in the digital world from 12 years old. They almost all have a mobile that becomes increasingly important as they get older. But not only the development of the children is important, parents should also grow in the developments to be able to guide their children properly on the digital highway, for example by paying attention to what the youngest look at on the internet and to discuss the benefits and risks with the older children. Children today are growing up with smartphones that practically lay the world at their feet and they also find their parents' phone extremely interesting. But when does the oldest gets their first mobile? Of course that is different for everyone. For one person that is when a son or daughter goes out alone. Another waits until their child is sufficiently aware that a mobile is not free and shows enough responsibility when using phone credit. Research shows that the transition from primary to secondary education is generally a good time. For the youngest phone owners being in touch with home is especially important, followed by contact with friends. It will be no surprise that as children grow older the sequence switches to friends first and then home, mostly to mum. Also, having a phone for emergencies and safety is an important reason. For the majority of children between 8 and 18 years old, it starts with a phone with a prepaid card, around the fourteenth birthday it often becomes a subscription. Over half has a smartphone, whereby Samsung is currently favourite. The purchase of the first phone and the calling costs are usually borne by the parents and agreements are then often made about the calling amount. How much money should your child be spending on calling and texting in each period? Who pays additional costs for the use of the internet and paid services, for example? And what if the phone is broken or lost? Most begin with a prepaid option. A SIM only subscription can also be a good alternative. Such a plan is substantially cheaper than a normal mobile phone subscription. This is because the discount you normally get on a device is now deducted from the subscription whereby the monthly payments are much lower. The device must often be SIM lock free. Mobile calls cost money. Not only purchasing a device, but also the use of a phone incurs costs. That is not news. However, it is not always clear for what costs are charged in mobile telephony and that sometimes causes financial surprises. Especially children do not always realise that they also pay extra for everything they do besides calling. The Voice of Holland, So You Think You Can Dance and the X-Factor are examples of popular television programmes in which the mobile phone, through voting by text messages and using special apps, is integrated into the concept. Nothing wrong with that, but you are paying extra for the sms and downloading the app may be free but using it always and everywhere may not be. Although research shows that young callers do not like to incur extra costs, many young people do admit to having sometimes accidentally entered into a subscription for paid internet services such as ringtones and games. I think it is always the case that new developments entail "risks". In this case you can think of excessive telephone use, high costs and, in light of recent events, of course the virtual bullying. Research shows that there are generally rules at school, ranging from putting on silent or switching off, handing the phone in at the beginning of the lesson to banning mobile phones completely. Most agreements at home are about call amounts and when and where the phone should be off. The older the child, the less rules at home. Children are generally well aware of the fact that their mobile plays a major role in their lives. It is important when purchasing the first device to already think about the payment method, subscription or prepaid? Using a comparison site can then be a godsend. As already indicated under the heading 'Costs', it is important to make good arrangements. Do not forget to remind the children to use phone credit apps, so they also become well aware of the call charges. There is also now a subscription with unlimited calls and internet that can be used for extra security, which might be worth considering. Research among children aged 8 to 18 years old show that a large majority say they have not experienced unpleasant events through the mobile. Due to the fact that many smartphones have internet it does not hurt to keep your finger on the pulse as parents and regularly discuss the use of modern media and what you can and cannot do on it. The new media, to which the phone belongs, in addition to all the new developments also brings less nice things with it, but that should not be a reason to deny children the use of it. It also offers unprecedented positive possibilities. And is it not true that there is a solution to every problem? 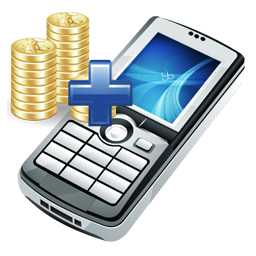 There are various supporting tools and apps to stay in control of call costs, for example. Just look at the many phone credit apps, or even a usage limit at some operators. Most importantly, however, is to create awareness among young people that the use of a mobile phone also involves responsibilities. And it should not have to be necessary to draw up a contract with 18 points, but it is essential think about such points in advance. Teach children which services are charged for, and which are free. For instance WhatsApp is a great free alternative for text messaging.